We have a NEW FREEBIE for you today, but before I show that to you, I want to tell you about an incredible sale we have going on right now. 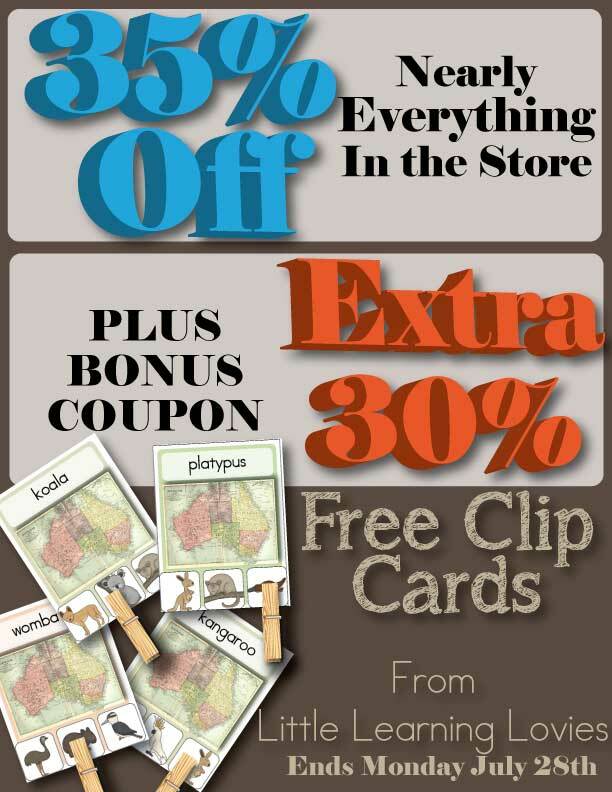 Just about everything at Little Learning Lovies is on sale right now for 35% off! It’s a great time to stock up on things like our Boxable games, handwriting materials, and, well, any of the hundreds of educational printable games we have in the store for you! Right now, when you put $75 or more in your cart, you can use a coupon to get an extra 30% off! We’ve had customers get over $100 worth of games for less than $50! 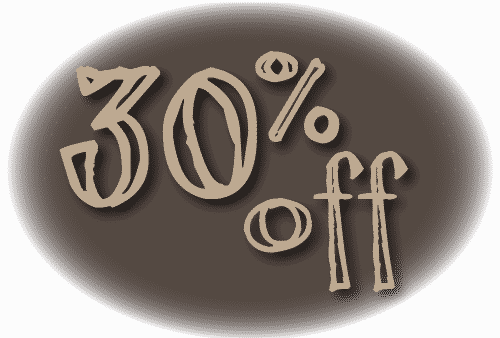 to get this 30% off deal! And now… we have our freebie for you! 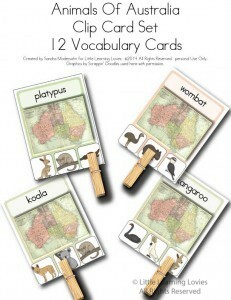 Little Learning Lovies is excited to bring you this FREE SET of clip cards celebrating the unique animals that live on the beautiful continent of Australia. We use a clothes pin to “clip” the answers, but you can use paper clips too! Just read the word at the top and ‘clip’ the picture of the animal that represents it. This set is TOTALLY FREE for you this week only.